In my life, how do I ‘see the fruits’ as Jesus says? What do grapes, thorns, figs, and thistles have to teach us about the kingdom of God? The imagery used by Jesus would have been very familiar to his audience. A certain thornbush had berries which resembled grapes. And a certain thistle had a flower, which at least from a distance, resembled the fig. Isn’t it the same today? What we “hear” might have a resemblance of the truth, but, in fact, when you inspect it closely, it’s actually false. False prophets or teachers abound today as much as they did in biblical times. What’s the test of a true or false teacher? Jesus connects soundness with good fruit. Something is sound when it is free from defect, decay, or disease and is healthy. Good fruit is the result of sound living – living according to moral truth and upright character. The prophet Isaiah warned against the dangers of falsehood: Woe to those who call evil good and good evil, who put darkness for light and light for darkness (Isaiah 5:20). The fruits of falsehood produce an easy religion which takes the iron out of religion, the cross out of Christianity, and any teaching which eliminates the hard sayings of Jesus, and which push the judgments of God into the background and makes us think lightly of sin. How do we avoid falsehood in our personal lives? By being true – true to God, his word, and his grace. And that takes character! Those who are true to God know that their strength lies not in themselves but in God who supplies what we need. The fruit of a disciple is marked by faith, hope and love, justice, prudence, fortitude and temperance. Do you seek to cultivate good fruit in your life and reject whatever produces bad fruit? What is the role of a Godparent? What does Baptism do? On the occasion of the Feast of St. John the Baptist, we share with you a previous blog about our baptism’s effect on us, and the role of godparents. My husband Tom and I were asked by our friends to be the Godparents of their firstborn child, their daughter, at her Baptism. It’s an honor to be asked to be a Godparent to a child, and it’s also a commitment for life! So what is the role of a Godparent? It’s a response to the invitation of the infant’s parents in making a Profession of Faith in the child’s name and accepting the responsibility of assisting the parents in instructing the child in the Faith. Especially for Tom and I this is an honor, since we don’t have children of our own, and because we love the Lord and the gift of the Church! In the 34 years of our marriage, we have become Godparents to other children and believe it is a blessing for us to become a part of their lives. “Christian life is not a spa therapy,” Pope Francis said at Mass. For some of us, he’s stating the obvious: my Christian faith does not magically make my life sweet and pleasant. But should it? When I am feeling particularly weak and vulnerable, many times I’m tempted to ask: “If I serve God, isn’t he supposed to make my life better? Why do I feel this way? Why do I find myself in this difficult situation?” But in those times, I have forgotten my faith entirely. By rising to new life, Jesus shows us the fruits of our total self-gift. Why am I afraid to be weak when my weakness makes me more like Jesus? Shouldn’t I wish to be perpetually weak – a total gift to God? 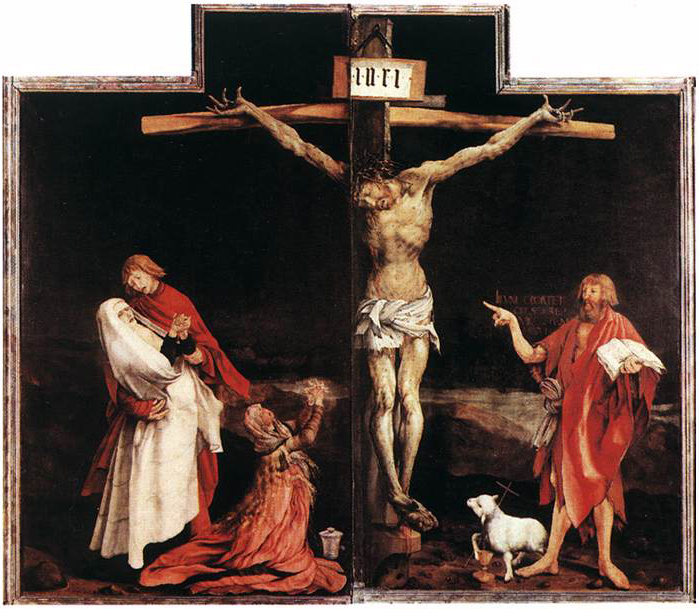 When you are weak, contemplate the horrible beauty of the Cross. Preach the Gospel at all times, if necessary, use words. Preach the Gospel– This can take the form of many actions; from community service and charitable work, to simply putting a smile on and waving to strangers while in a public area. How often do we see people whose faces are looking down, afraid to even have eye contact with others whom they do not know? While in college, I would see this situation many times. Just a simple nod to another person or even better, a smile and a hello, can add a bright moment to any one’s day. We preach the Gospel when we echo the message of Christ. At all times– This means every single second of our existence on earth. Every fragment of our interior disposition and outer actions must be pointed to helping others see the Good News of Our Lord. Isn’t it an exciting challenge? One that Our Lord calls us to take, one that Saints inspire us to succeed in. Our message is one of urgency. Use words if necessary- Sometimes, words are needed to preach the message. This quote doesn’t say that words are bad, but that they are useful only when they are required. We are called to speak the truth, by how we act and by what we say. Words are powerful in themselves, but become indestructible when the actions of the speaker reflect the same message. There can often exist a perception of a conflict of preaching with words vs preaching with actions. But just like faith and reason are both needed and promoted in our Church, so too must our faith be enshrined with the words of hope and the actions of charity. Want to beat boredom? Become a Catholic. When Jesus called me back to the Catholic Church over a decade ago, I came back with my pre-conversion prejudices intact. Were they true? If so, why would Jesus want me there? I had to find out for myself everything the Catholic Church proclaimed. Looking back, I realize how laughable that last statement is. There is no way in this life we can learn everything the Catholic Church teaches and proclaims even if we devoted 24/7 to the effort. The Catholic faith reminds me of that scene in the movie National Treasure when the group of explorers finally discover the secret treasure room. They step into the dark cavernous room and see several priceless artifacts and jewels. Each picks up a different one and is mesmerized by its value and its history. One Catholic priceless jewel would be reading the teaching of a saint. You can spend hours, for example, fascinated by the teachings of St. Catherine of Siena. But what happens next in the movie is what reminds me most of how the Catholic faith piques our interest the more we are enlightened in the Truth. The Nicolas Cage character puts his lighted torch to an oil-filled bowl and the fire zooms through canals, revealing that the room is much more massive than it at first appeared — every inch of it is filled with treasure. Each teaching will lead you to a discovery which will lead you to a revelation which will lead you to another teaching and on and on and on. For instance, the teachings of St. Catherine of Siena reveal the beauty of Carmelite Spirituality. The beauty of Carmelite Spirituality can lead you to the writings of St. Teresa of Avila and then on to St. Therese of Lisieux and her ‘Little Way.’ Each jewel presents — in a different way — the love of God; fascinating in and of itself but revealing there is yet even more to delight, to inspire and to transform — and never ever to bore.